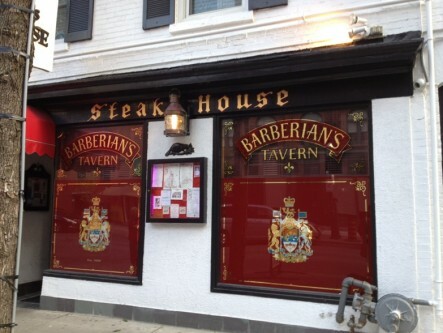 Having been around for over 50 years, Barberian’s Steak House is a Toronto institution. With its old school décor, it looks like they haven’t changed the place since they first opened. 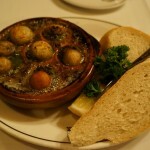 The restaurant is located on Elm street, just north of the Eaton Centre. 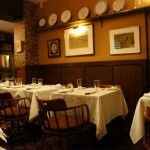 The space is dimly lit and filled with old antique-looking furniture – some might find the restaurant a little stuffy. 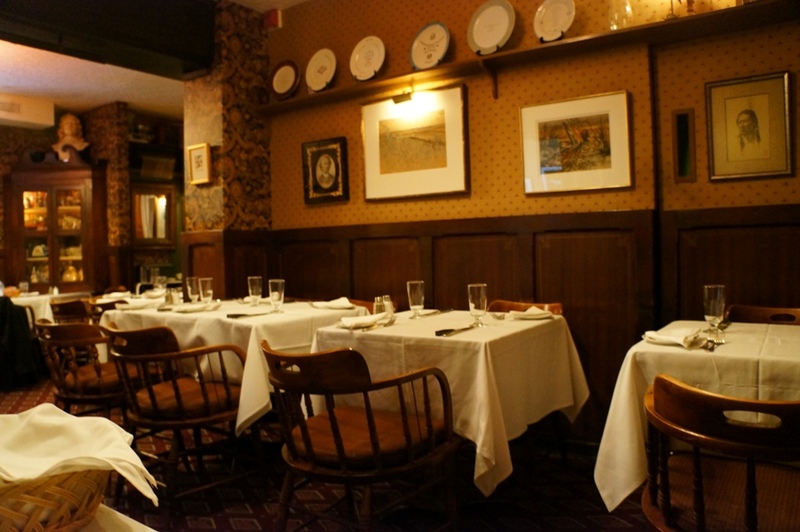 If you’ve ever been to Jacobs Steakhouse, you’ll find the atmosphere here the complete opposite of their modern space. 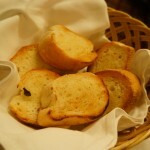 Immediately after ordering, our server brought over a basket of complimentary garlic bread and a dish of pickles. I’ve never had pickles at a steakhouse, so this was new for me. 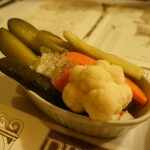 It came with some pickled carrots, cauliflower, celery and regular pickles, none of which were particularly memorable. 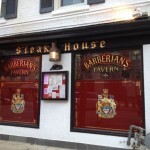 Barberian’s menu contains the standard steakhouse fare including shrimp cocktail, caesar salad and French onion soup. 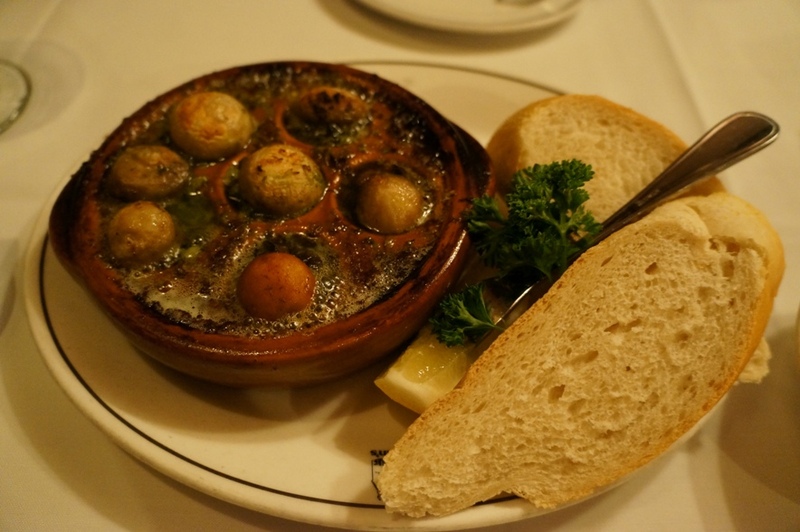 We shared the classic Escargots ($9.50) to start. It came with seven tasty pieces which were all topped with a small button mushroom. We licked up every bit of the butter with the complimentary bread. A classic done well! 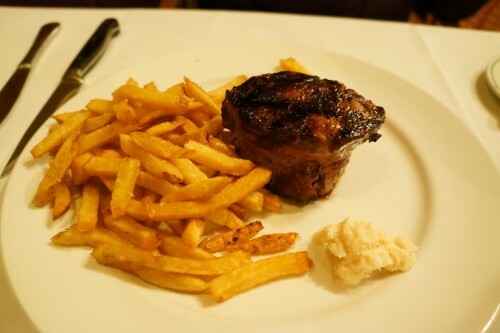 The steaks here range from $32 for a centre cut sirloin to $95 for the Chateaubriand for two. But the majority of steaks hover around $40 to $50 depending on the cut and size. 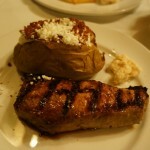 I went with the 10oz New York Sirloin Steak ($41.25) which came with a baked potato. 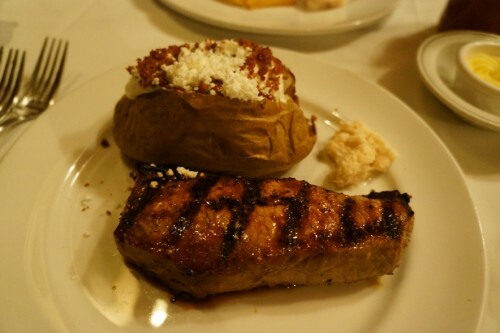 In all honesty, I just wasn’t a huge fan of this steak. 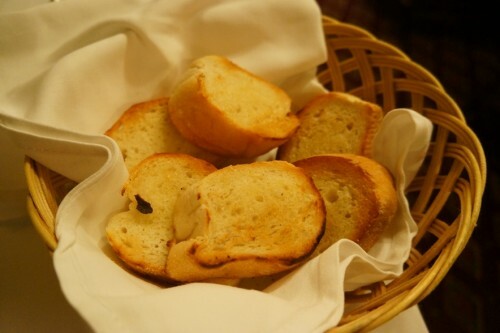 I ordered it rare but it came a little overcooked and I found that the steak lacked the great flavour that I really enjoyed at Jacobs Steakhouse. 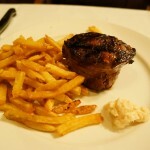 My friend went with the 8oz Filet Mignon – wrapped in bacon ($41.75), served with a side of fries. From the bite I had, I found it to be tender and well cooked but I wouldn’t put it near the top of my list. Nothing special, in my opinion. 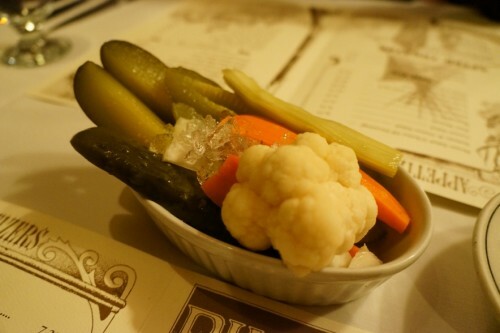 Overall, I felt a little underwhelmed by Barberian’s. While the steaks weren’t bad, they weren’t particularly memorable either and with their higher price points, I’d expect a little more. Sure, the prices at Jacobs Steakhouse are a little higher than Barberian’s but for a memorable steak, I’d recommend going there instead.